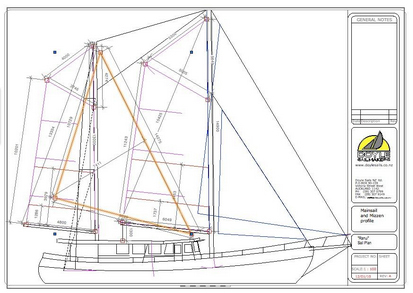 The Ranui is a 70 tonne traditional Norwegian Pilot Ketch with a wonderful history. 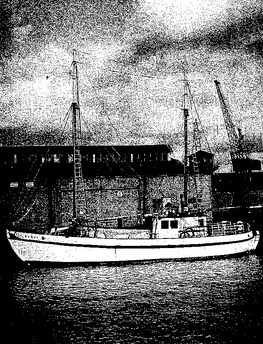 She was designed and built in 1936 by whaling Captain Korinius Larsen at Port Pegasus, Stewart Island, New Zealand. Crafted entirely of native kauri and totara, the Ranui is enormously strong and has long been renowned for her sea worthiness. 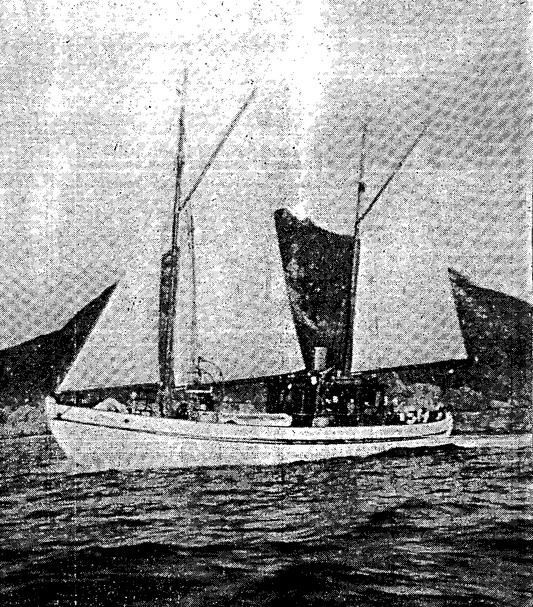 During her first five years she carried fish and timber from Stewart Island to Bluff and was engaged in the tourist trade in Fiordland. Then, in 1939 she underwent the first of several fascinating transformations. Following the outbreak of the Second World War, the Ministry of Defence identified the islands of New Zealand as potential targets for enemy attack. Secret War Cabinet messages were sent authorizing the commandeering of a suitable spy ship to patrol and supply the Auckland Islands, the Campbell Islands and the Kermadecs. It was decided that the Ranui was the perfect vessel for this vital assignment. Her hull was painted in Royal Navy camouflage, her sails were changed to camouflage and her crew was armed. She was fitted with the most powerful radio transmitters available and was sent to work in the defence of New Zealand. The Ranui continued in her role as supply ship following the Japanese surrender, but it would not be long before the fate of this historic ketch took another interesting turn. Shortly after being purchased by the Pacific Territories Department in 1950, the Ranui was commissioned by none other than Queen Salote of Tonga, for use as the official Royal Yacht. She occupied this regal post for three years before being purchased by George Ellison. Ellison was an ariki of the Ngai Tahu tribe and a respected fisherman and businessman. It was under his expert guidance that the Ranui embarked on yet another illustrious career, this time operating in the crayfish and oyster trade. Once again the versatile Ranui proved herself more than up to the task. She operated profitably until 1991 when the parasite Bonamia hit the Bluff oyster beds and the industry was shut down by the Ministry of Fisheries. After another voyage to the Antipodes for an independent ornithology company the Ranui departed from the south island and headed north for charter work at the first New Zealand America’s Cup in 2000. After a successful and profitable cup the Ranui continued charter working the Hauraki Gulf and the Bay of Island awaiting the next America’s Cup and later the 2003 America’s Cup which sadly saw New Zealand lose the cup. In 2002 Ranui was invited to join a team of boats working in the remote islands of Vanuatu. The job was to transport doctors, dentists, nurses and medical supplies to remote impoverished islands in Vanuatu. This was very successful for Ranui as she was able to carry supplies and people comfortably in the often harsh weather around these islands. Moving into sustainable development Ranui has continued her work in Vanuatu. Today she still carries medical teams and supplies but also water makers, batteries and solar panels and is well known by all the islanders in Vanuatu. In 2010 ranui was asked to be a mother ship for the waka voyage around the pacific and with this she was given a new mizzen mast and sailing rig. Now with full sail and a fair breeze Ranui is able to sail along at 7-10 knots. She now has comfort and sailing ability like never before. The waka voyage took her from Aotearoa to Tahiti, Riatea, Rarotonga, Samoa, Tonga and Fiji ending her voyage back in Vanuatu and continuing her work there. Recently when Ranui is not in Vanuatu she is delivering people and supplies for the New Zealand Government to the Kermadecs and giving young potential sailors the chance to experience open ocean sailing under the watchful eye of Captain Richard Allen and in the safety of Ranui.